Benjamin Netanyahu, known as Bibi, is truly a magician. He shows the success of a campaign platform based on settlements, racism, apartheid and the denial of the fundamental human rights of the Palestinian people. He has spent the past few days of polling day making alarmingly racist and intransigent statements – as an election tactic, and it worked. This victory of Netanyahu also shows us the apartheid sickness of Israeli society. Such a result would not have been possible had the international community held Israel to account for its systematic violations of international law. Just this past of election day, March 17, most polls indicated that his Likud party would likely receive around 21 seats in the Israeli Knesset, four seats less than Yitzhak (Bougie) Herzog’s Zionist Camp (Labor Party’s new name). Revelations of corruption at the Prime Minister’s residence followed by a damning comptroller report about the real estate crisis, alongside industrial downsizing, union strikes, predictions of a weakening economy, a diplomatic stalemate, and increasing international isolation all seemed to indicate that Netanyahu was on his way out. But just when it seemed that the Zionist camp would replace the nationalist camp, the crafty campaigner began pulling rabbits out of his hat. Netanyahu’s Likud Party is poised to control 30 seats in the 120-member Knesset. The Zionist Union placed second with 24 seats. A United list of Arab parties came in third with 13 seats. That last statement – about Israel’s 20 percent Palestinian population exercising their democratic right to vote – drew appalled criticism from international observers and Israeli centrists alike. The New York Times editorial railed against Netanyahu’s last-minute electioneering, describing it as ‘racist’, ‘desperate’ and ‘craven’. Netanyahu built his political career in the 1990s in opposition to the Oslo Peace Process and the principle of trading ‘land for peace’ with the Palestinians, and his Likud party has traditionally rejected the principle of Palestinian statehood west of the Jordan River. That’s why his Bar-Ilan speech in 2009, where he spoke for the first time of a Palestinian state alongside Israel, raised eyebrows — and, it must be said, wishful thinking — in Washington. Netanyahu said. ‘In my vision of peace, in this small land of ours, two peoples live freely, side-by-side, in amity and mutual respect.’ But now he has showed his true color. The election did offer a genuine surprise with the rise of the Arab Joint List as the third-largest party of Israel. The Joint List is an alliance of four Arab Israeli parties: Raam (United Arab List), Ta’al (Arab Movement for Renewal), Balad (National Democratic Assembly) and Arab-Jewish party Hadash (Democratic Front for Peace and Equality). The Joint List’s formation was forged to beat the newly hiked threshold for parliamentary representation which was widely perceived to be inimical to the preservation of Arab-Israeli parties. The Joint List elected Ayman Odeh, the charismatic leader of Hadash, as its new leader. In the beginning the Arab Israeli vote went overwhelmingly to the Zionist parties. From 1990 onwards, however, the Arab Israel vote has veered towards Arab-Israeli parties with voter turnout of around 55 per cent on average in successive elections. But with little collective power these parties failed to make a dent in the general discriminatory thrust of Israeli politics. It was only during the administration of Yitzhak Rabin that the Arab-Israeli parties had some say in the peace process. Since then, Arab Israelis’ ability to influence the mainstream politics has sharply declined. This process has accelerated under Netanyahu’s administration. Against this background, the formation of the Joint List was widely welcomed among the disillusioned Arab Israelis. The result was a higher turnout which was accounted at 65 per cent. The Joint List benefited from this voter surge and grabbed 13 parliamentary seats. Unsurprisingly, the Joint List has stirred the placid and consensual political waters of the Israeli politics. Ayman Odeh is a fresh face among leaders — a lawyer with considerable skills as a campaigner. The Joint List is advocating equality between Arabs and Israelis within the state of Israel. Ayman Odeh has already signalled his intention to organise Martin Luther King style march to demand greater equality between the Arabs and the Israelis and an end to discriminatory practices against the Arab Israeli population. In particular, the Joint List is focusing on rollback of the proposed Jewish state bill which seeks privileges for its Jewish citizens over the concept of equal citizenship. The Joint List has staked out bold position on issues such as the Palestinian state and the inherent discriminatory practices of the Israeli state. It has called for end to occupation — actually used the word occupation, and an end to discrimination and formation of the Palestianian state. Israel has occupied the West Bank for nearly 50 years now. It has maintained its military closure on Gaza for nearly a decade, with no indication that it is even considering a change in policy. This is not a sustainable situation. Almost 13 million people are living on territory controlled by Israel, but only 8 million have the right to vote. For decades, Israel has denied Palestinians their fundamental rights of freedom, equality, and self-determination through ethnic cleansing, colonization, racial discrimination, and military occupation. Despite abundant condemnation of Israeli policies by the UN, other international bodies, and preeminent human rights organizations, the world community has failed to hold Israel accountable and enforce compliance with basic principles of law. Israel’s crimes have continued with impunity. Now Netanyahu is sure to translate the elections results into a new mandate to further Israel’s colonial goals in Palestine. This will be Benjamin Netanyahu’s fourth and Israel’s 34th government since its establishment in 1948 and the 11th coalition government since it entered the US-sponsored ‘peace process’ 24 years ago. With an average of a new government every two years, expect Israel to go to elections or/and establish another coalition by 2017. What shape that government takes depends on what comes next and how the United States and the Palestinians react to the new old reality. So what the US president Barac Obama has to decide is whether or not he will allow Netanyahu to remain in charge of American policy for Israel-Palestine. The White House indicated that Israel would face consequences in the diplomatic arena for having repudiated the two-state solution. A few months ago, Haaretz reported on a leaked European Union document that specified sanctions to be imposed on Israel in the event it officially rejected negotiating a withdrawal from the West Bank and the establishment of a Palestinian state. It is clear and ought to be obvious to all that Obama now as only two options. One is to wash his hands of the conflict in and over Palestine that became Israel and walk away from it. If he does this he will no doubt seek to cover up his complicity by default in Zionism’s crimes by saying, as he has said on several occasions during his presidency, that he can’t want peace more than the parties themselves. Obama’s only other option is to say publicly to Israel that enough is enough and that America will now use its leverage to cause (or try to cause) Israel to end its defiance of international law. Theoretically, if there’s truly a will, the world’s superpower can certainly find a way to affect Israel’s future choices. And when you add the issue of the negotiations over Iran’s nuclear programme, there’s certainly a strategic urgency to contain Israel’s aggressive overreach in Palestine and the region. In reality, Obama will wash hands of the conflict and walk away from it. In the event he will deserve a place in history as the US president who gave Zionism the green light to take the region and possibly the whole world to hell. The hard right coalition government that Benjamin Netanyahu will form will most certainly begin a charm offensive in an effort to regain the international support that the Israeli leader has lost in his attempts to scaremonger Israelis to vote for him. 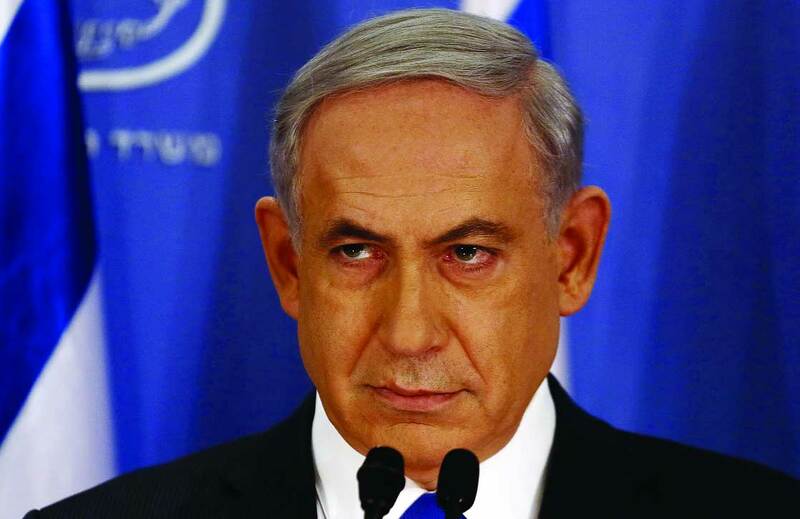 So Bibi has already showed is volte-face after two days of election. In an interview with MSNBC, Netanyahu appears to have begun to pivot: ‘I don’t want a one-state solution. I want a sustainable, peaceful two-state solution. But for that circumstances have to change.’ At least the last part of this statement might be true. The circumstances that Netanyahu wants to change require demographic change as well as a substantial settlement increase. Not only is this used car salesman, Netanyahu, expected to try again to sell the same old worn out promises to the world, but he might even sweeten the deal with various issues. Any possible revisiting of the issue of Palestinian statehood now will be yet another attempt to fool the world community. This is the experience of Israeli politics over the past few decades, Netanyahu is a natural extension of the move towards the right since the Israeli wars of 1967 and 1973 and its occupation and colonization of all of historic Palestine ever since. The rise of Likud to power in 1977 ushered in a new era of right wing coalitions that supported and deepened Israel’s colonial project in Palestine with the exception of three labor centrist governments (Peres, Rabin, Barak) all of which, incidentally, built no less illegal settlements than their predecessors. The Israeli-Palestinian conflict is not going to be resolved by a simple play on words – by saying one thing and meaning another or by confidence-building measures and gestures. What is needed is concerted non-violent efforts that will include tangible pressures that make the occupying power of Israel end its 47-year illegal occupation. Palestinians must make the occupation as costly as possible to Israel. Suing Israel for its war crimes in the Hague must be coupled with an end to the security cooperation. The latter would result in the erosion of the Oslo Accords which divided Palestinian lands occupied in 1967. The world community must censor Israel through the escalation of the boycott, divestment and sanctions until Israel ends its illegal occupation.